With the rise to prominence of the highly acclaimed restaurant Noma in Copenhagen, Nordic cuisine is enjoying a renaissance. But before you start to think that Fäviken is just another cookbook trying to capitalize on this trend, think again. To be sure, the recipes are distinctly and purely Nordic, but the book is as much about food culture and philosophy as it is about the recipes. 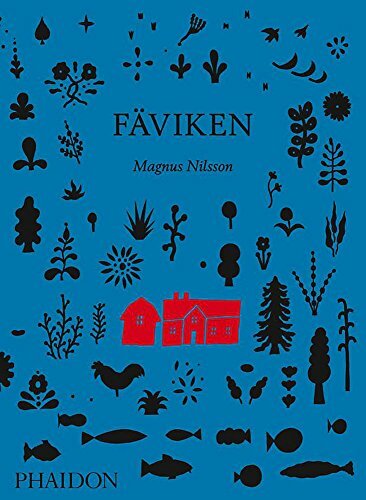 Far from the madding crowd of foodies frenetically booking and blogging their way through the restaurant scene in whichever local food hotspot they inhabit, there is a quiet, 14-cover restaurant called Fäviken Magasinet tucked away in a remote corner of Sweden that is making its mark in the food world. The chef is an unpretentious 28-year-old Swede named Magnus Nilsson who was classically trained at L’Astrance, a three Michelin-starred restaurant in Paris. Back in his native Sweden, alone with his thoughts and his cooking as far from the cacophony of competing food ideas as one could imagine, Mr. Nilsson began to rediscover his Nordic roots and develop his own style of cooking that literally connects him to the land. In the foreword to the book, the Swedish writer Mattias Kroon describes Mr. Nilsson as “a hunting, fishing and foraging chef trained in Paris.” His food is so site specific, that to try and recreate it anywhere other than the remote region of Sweden called Jämtland, is to invite failure. But before you give up, consider this less of a cookbook and more of a treatise on ingredients. For Mr. Nilsson, the ingredients drive the cooking, not the other way around. His reverence for his particular terroir (as the French refer to it) is at the core of his cooking philosophy. In a culinary world gone mad with globalization, Fäviken celebrates indigenous ingredients and is a call to all of us to slow down and appreciate what is around us instead of what can be ordered from around the globe via the Internet. In a way, this isn’t an entirely new concept. In America chefs like Alice Waters and Dan Barber have been insisting on locally and sustainably raised ingredients for years. What makes Mr. Nilsson different is that he is has an intimate relationship with every ingredient he uses. It is Mr. Nilsson who gathers the mushrooms, drives several hours for fresh fish, grows his own vegetables, butchers his own meat and hunts the deer before assembling anything on the plate. He is that rare chef who subordinates his ego to the ingredients making his cooking seem almost spiritual. What he does with those ingredients can only be described as primitive minimalism allowing the ingredients to speak for themselves with only a bare minimum of human interference. If you buy only one cookbook this season, let it be Fäviken. It is one of the most engaging and compelling cookbooks to come along in years. Magnus Nilsson’s enlightened cooking philosophy is transformational and should be read by everyone who cares about honest, simple cooking. You may never make a single recipe from this book, but it will undoubtedly make you a more conscious cook.